A Non-Governmental Organisation, Value Female Network has conducted free medical screening for women in the rural community of Esa-Oke, in Obokun Local Government Area of Osun state. VFN in partnership with Akol pharmaceuticals in Osogbo also distributed free drugs running into millions of naira to the women in commemoration of this year's International Women's Day. 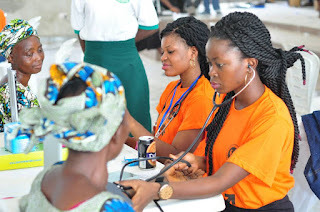 The medical outreach which held at the town hall located within the premises of Owa Omiran of Esa Oke on March 10, attracted over 1,000 women of reproductive age, widows and aged who had converged at the venue around 8:00am in the day waiting eagerly to be attended to. 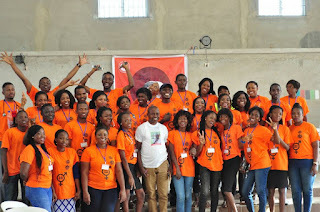 As soon as the screening commenced, young volunteers of the NGO including medical doctors, pharmacists and other health workers divided themselves into units and conducted free services to the rural women. The women were screened on blood pressure, blood sugar, body mass index, HIV among others. The beneficiaries also had opportunities of consulting doctors and getting counselling and treatments from them. There was also a family planning counselling and free drugs disbursement for the beneficiaries. Also, the NGO took time to expose the women to Rights talk as they were attended to. During the HIV counselling and test, the women were charged to always visit hospitals from time to time and not resort to self medications. The Executive Director of VFN, Miss Costly Aderibigbe said that the NGO brought the medical outreach to improve the health condition of the rural women who were facing one health challenge or the other. According to Aderibigbe, the NGO focused mainly on the health aspect and right of women to commemorate 2018 International Women's Day with the theme: Press For Progress. She said the outreach was in partnership with Akol Pharmaceuticals Group, Osogbo. Aderibigbe said "our NGO want a world where rural women's potentials are maximized in good health. We need these women to be healthy and pursue their rights tenaciously. 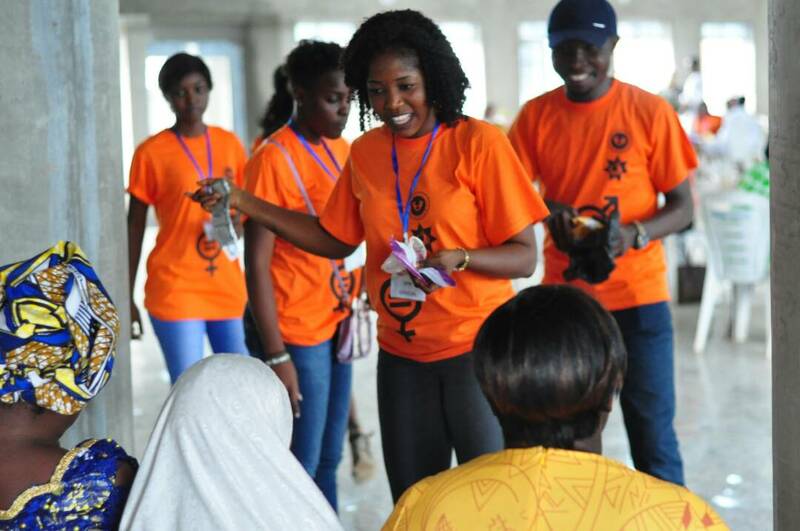 We planned for 1000 women but we ended up screening and distributing free drugs to over a thousand. Most of them are widows, peasant farmers, petty traders and we want their health restored." Also speaking, the Chief Executive Officer of Akol pharmaceuticals, Dr. Siji Olamiju expressed delight for sponsoring the medical outreach saying he would not relent in bringing succour to the suffering masses. While appreciating the humanitarian spirits in the volunteers of VFN, Dr. Olamiju, an indigene of Esa-Oke, appealed to other NGOs to emulate VFN and also contribute meaningfully to the growth and wellbeing of others. He said "my company got convinced in VFN because this is an NGO that is really not for profit making but an organisation that has passion for helping the needy in the society. What further motivated me to partner with them is that the NGO totally comprises of hardworking and energetic youths who are ready to sacrifice their talents to the betterment of our society. I have concern for my people in Esa-Oke and I will not relent in doing everything within my power to make life worth living for them." The traditional ruler of the community, the Owamiran of Esa-Oke, Oba Adeyemi Adediran expressed his happiness for the outreach and thanked the NGO and the sponsor. The monarch commended VFN for choosing Esa-Oke saying "the entire people of Esa-Oke are grateful to Value Female Network and our son, Dr. Olamiju for your contribution toward ensuring that our women are in good health condition. We call on other NGOs to emulate your kind gesture as this will go a long way in improving the health condition of Nigerians." A beneficiary, Mrs. Agnes Ojo commended the NGO and its sponsor for conducting free screening and drug disbursements saying they would adhere to the health instructions they had listened to.